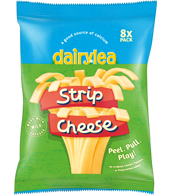 Back in 1950 - when the average UK yearly salary was just over £100 and everyone was dancing to rock and roll - we created a yummy little cheese triangle. 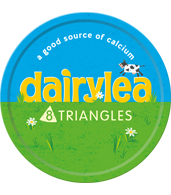 Fast-forward 60+ years and that tasty little triangle is now so famous you could say it’s an (unofficial!) symbol of the UK! 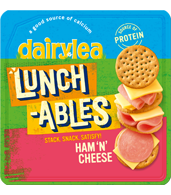 Growing the Dairylea range, we then created our utterly Dairylicious spreads. Simple ingredients and moovellously tasty. 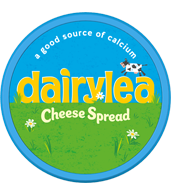 It’s that happy simplicity that gives our spreads their creamy, dreamy, unmistakably Dairylea taste. 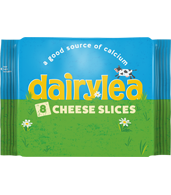 Plus now - as you know - our cheeses also come in lots of other brilliant shapes, sizes and flavours. 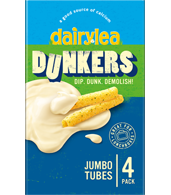 From Strip Cheese to Dunkers, Slices and more!